I’m honored to be partnering with Mayfield Creamery this summer, bringing you fun and exciting recipes that will help celebrate everyday moments in your family! #MayfieldMoment All opinions contained in this post are my own. Please see below for additional disclosures. There’s nothing more perfectly refreshing to me than Mayfield Creamery Mint Chocolate Chip Ice Cream. 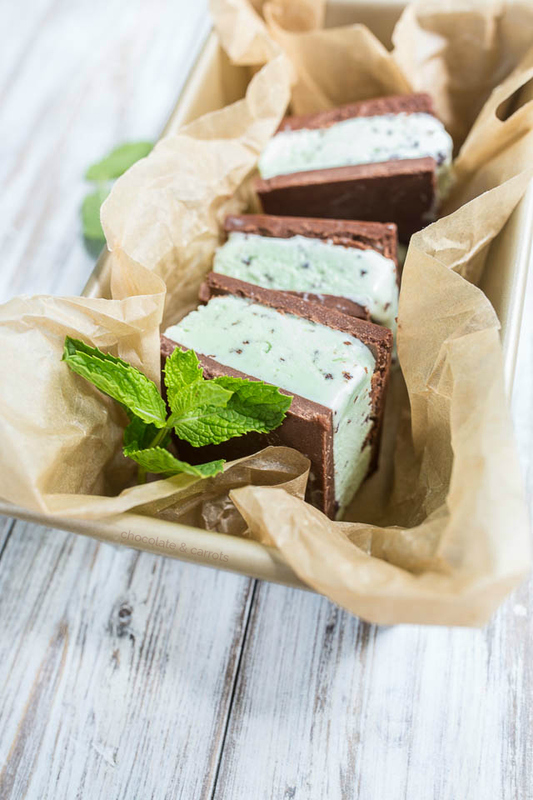 It’s that sweetness with bits of chocolate inside of the lusciously creamy mint ice cream that gets me every time! I feel like a little bit goes a long way for satisfaction, too. 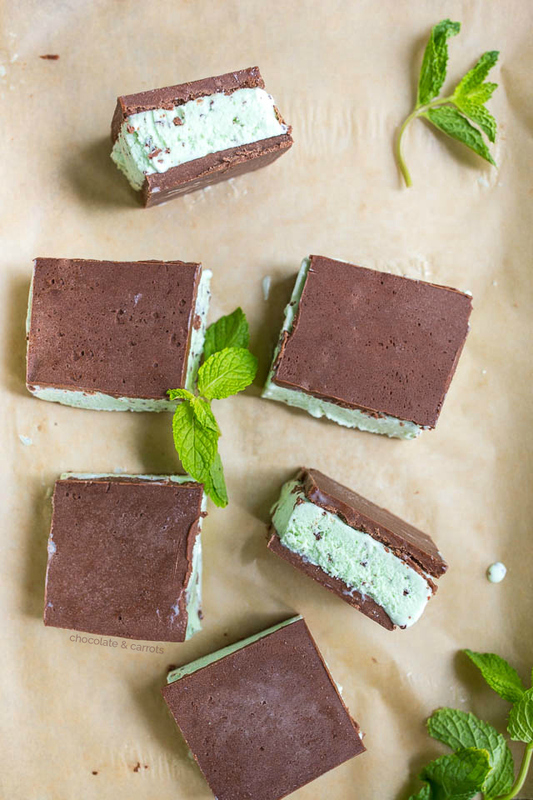 I made these homemade mint chocolate chip ice cream sandwiches for dessert at our weekly family dinner with my in-laws. My mother-in-law got giddy when she saw what I brought! We all sat down after a lovely dinner and dove into these sandwiches, enjoying each other’s company in silence while enjoying the decadent desserts in our hands. It was just too perfect. 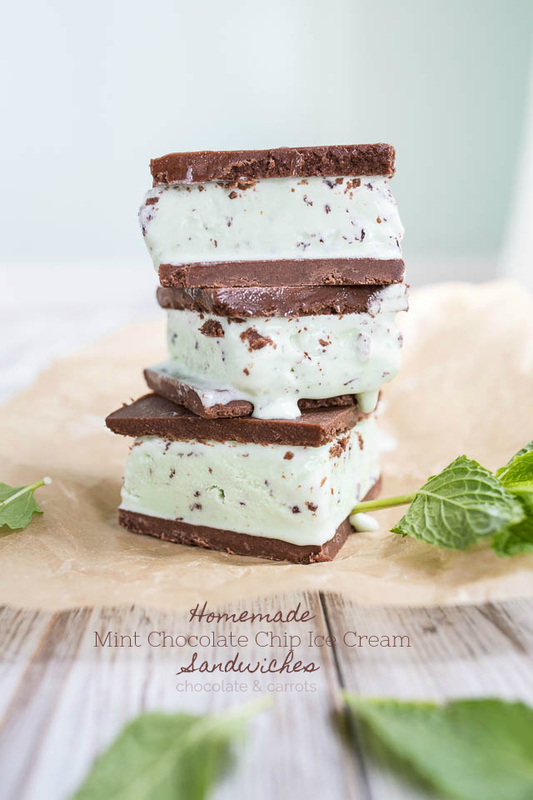 My husband even asked me, “Did you put fresh mint leaves in the chocolate cookie part? It tastes so wonderfully minty!” Nope. That’s all the Mayfield ice cream. 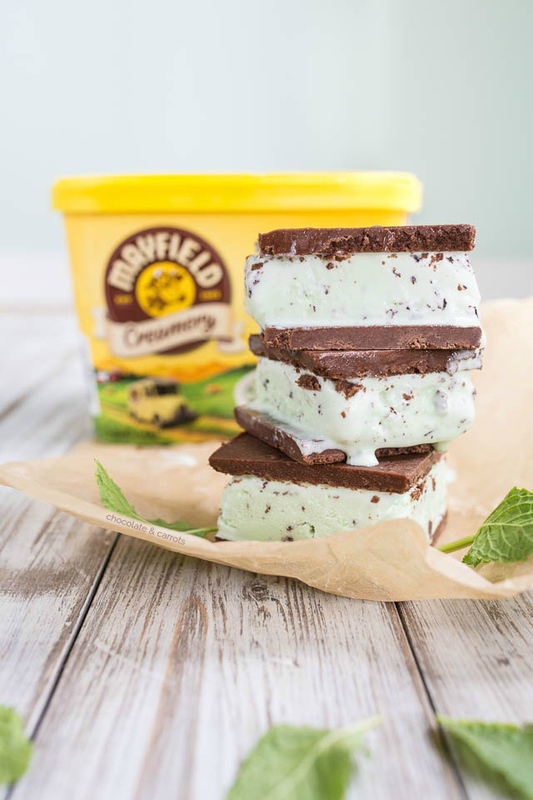 It’s been so wonderful working with Mayfield Creamery this summer, celebrating our everyday moments with Mayfield ice cream. If you are in the South or ever get to travel here, head to your nearest Publix, Harris Teeter, Bi-Lo or Kroger to grab a carton. All you need is a spoon and you’ve got yourself a classic and quality ice cream treat. Here’s the Mayfield Creamery Store Locator to see precisely where you can find their ice cream, pronto! So, I want to know from you, what’s your favorite flavor of ice cream? Spill it! 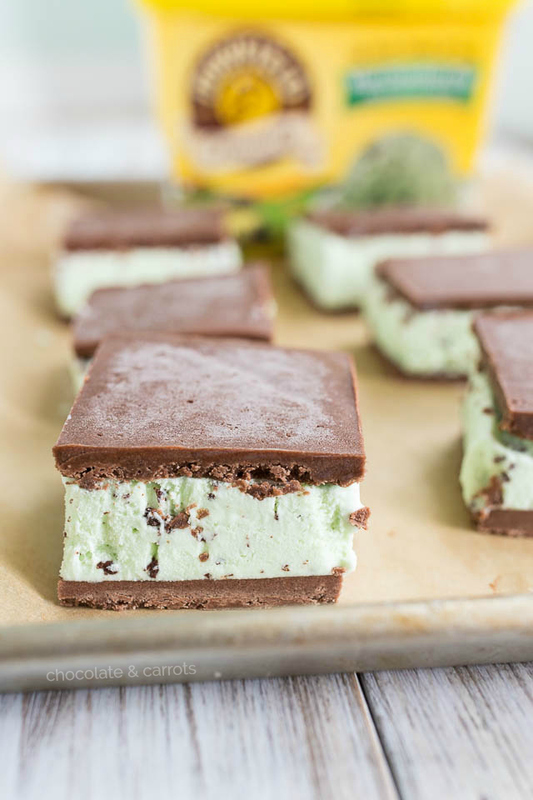 These ice cream sandwiches were very easy to make, too. With just three (Yes, just THREE!) ingredients, you’ll have you’re own in just a few hours. And it just takes minutes to assemble them. The hardest part is waiting for the ice cream to harden back up! Now, as you scroll down to see the photographs and recipe, try not to drool on your computer. Mix the brownie mix and butter together. Pour out onto a parchment paper covered “16.5 x 11” baking sheet. Cover with another slip of parchment paper. Using a roller, roll out to an even rectangle. Place in the freezer for 2-4 hours or until hard. Score and cut the brownie layer in half with a sharp knife. 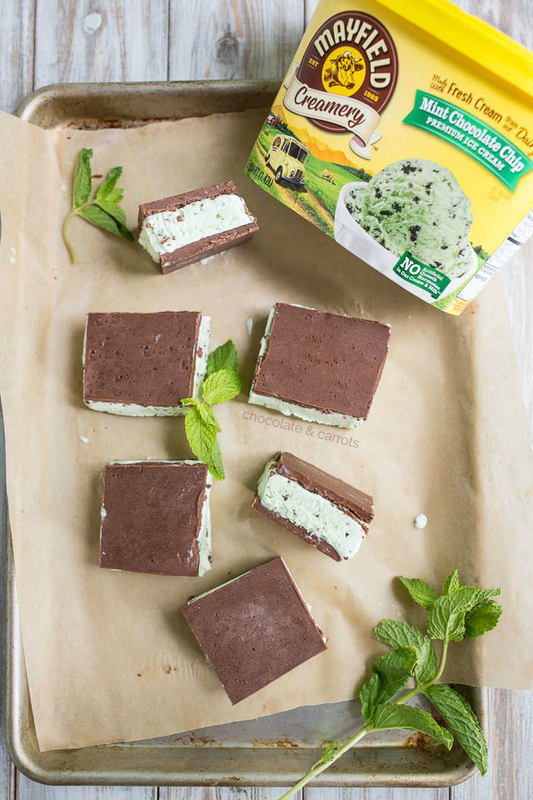 Spread the softened ice cream on one half, place the other half of the brownie layer on top and put back in the freezer until hardened (2-4 hours). 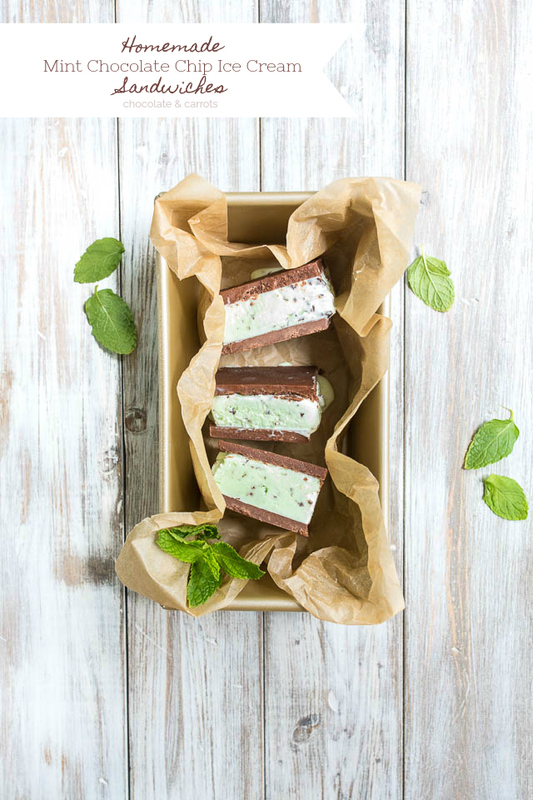 It helps to contain the ice cream within the boundaries if you use the parchment paper folded up as the edges. Score and cut into squares and eat (or place in plastic or more parchment paper and place back in the freezer for later). 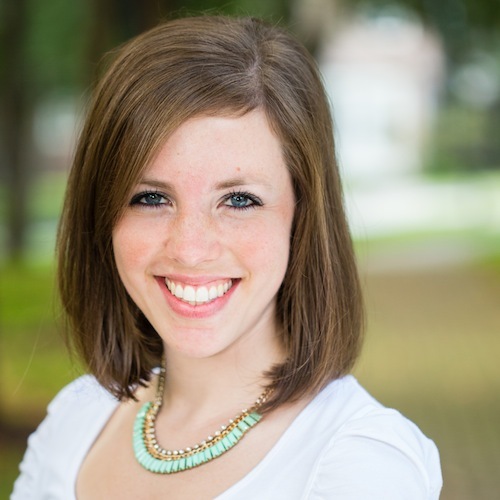 This post was created in partnership with Mayfield Creamery. I was compensated for this post. All opinions are my own. Please read my disclosure policy for further information.